"My confidence levels have increased and the results were amazing!" In the before picture I weighed in at 202 pounds and was 22% body fat. In the middle picture, which was 3 months into the program, I weighed in at 185 pounds and was 12% body fat. The after picture was after 9 months on the program, and I weighed 188 pounds and got down to 9% body fat. 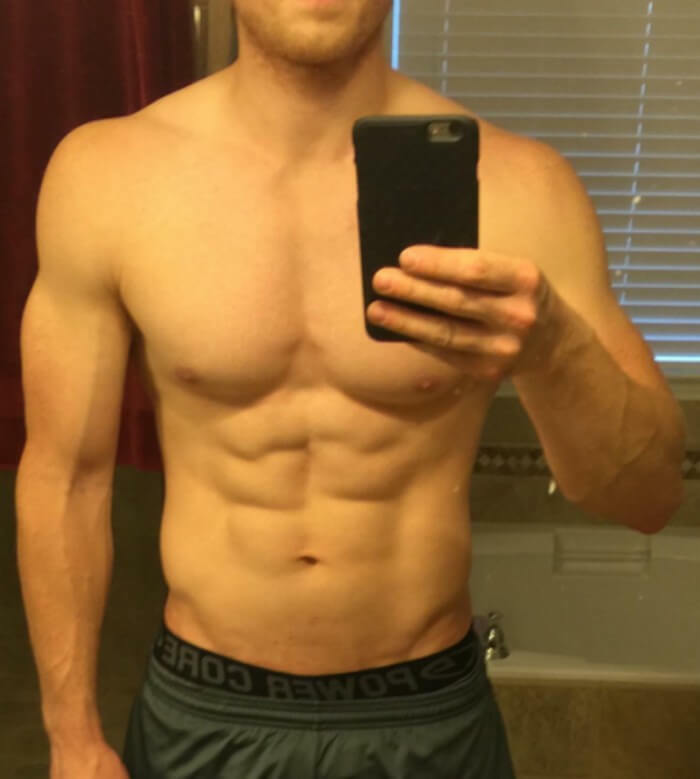 I cut out cardio almost entirely and focused on heavy compound lifting. The weight was falling off fast and I was still making gains in the gym (my garage actually haha). I bought a squat rack and a bunch of plates so I could do everything at home with the family. After we put the kids to bed, my wife and I would head to the garage and lift together. This was the most quality time we had spent together in years and was a great time to unwind together. All of my lifts increased during my time on the program. Bench: 155 to 275. Squat: 225 to 320. Deadlift: 155 to 330. 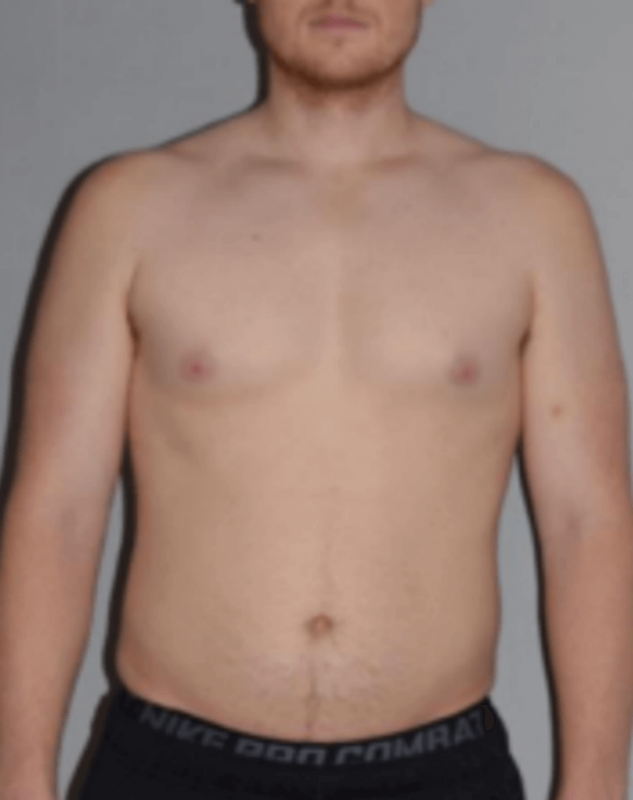 Military Press: 95 to 155. I am an avid reader and listener. Audible recommended Bigger Leaner Stronger to me and at that time I was ready for a change. I have been in a medical residency for the last 4 years and had let myself get to a terrible place with my health. The only thing holding me back was time–I was routinely working 100 hour weeks in residency and have 3 kids. I always thought that I wouldn’t have time for a legit workout program and thought my metabolism just wouldn’t allow for a good physique anymore. Before starting the program, I was jogging 4 miles about 3 days a week for 10 years and only seemed to get fatter every year. I just didn’t think my body would ever be able to get fit. The program was so easy. I obviously started out with a cut and watching the pounds come off every week was super motivating. The diet plan was everything. I didn’t realize how many calories I was snacking on throughout the day. After I started eating only what I had planned to eat, the fat just melted away. Seeing the scale change and my waist change so rapidly was incredibly motivating. The program is much easier to follow and the results speak for themselves. I was jogging for 12 miles a week and my knees were giving me trouble with all the pounding over the last 10 years. Heavy lifting was actually much easier on my knees than all that running. It was the first time I had positive comments about my physique in years and it was super motivating for me. The program has definitely increased my confidence level and has increased my desire for other types of self improvement. I would and do recommend this program to pretty much everyone I know. Everyone knows I am a raving fan of Mike and Bigger Leaner Stronger. I have had a trail of people changing their lives behind me on the Bigger Leaner Stronger program. If you think you are too busy to get on a program like this–think again. Going through an intense residency program with 3 kids isn’t easy. It honestly got easier with the addition of Bigger Leaner Stronger because of the vitality and energy it added to my mind and life. 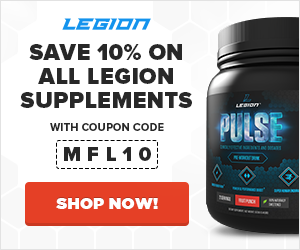 I used Legion PHOENIX during my cuts and felt like it really gave me an edge during the duration of my cuts.